The real estate pioneer was an early champion of South Beach, and died at 68 in the midst of Wynwood’s revival. Tony Goldman, a pioneer in turning South Beach from a drab retirement spot to one of the country’s hippest hotel districts and who played a central role in reviving Miami’s Wynwood neighborhood as an arts destination, died Tuesday at 68, a family spokeswoman said. Goldman died of heart failure at a New York hospital after a long bout with lung maladies, said Susan Brustman, a longtime Goldman publicist. His family was with him when he died, she said. 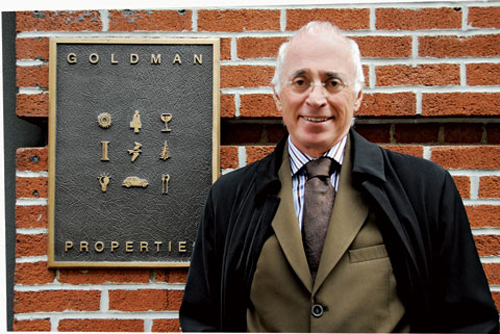 Goldman, who grew up in New York, got his start buying Brownstone apartment buildings on Manhattan’s Upper West Side. In the late 1980s he made a real estate move that would later make him famous, buying 18 properties in New York’s South of Houston neighborhood before “SoHo” turned into one of the country’s top loft-living spots. Though drab at the time, the neighborhood’s historic cast-iron architecture convinced Goldman that people would someday pay top dollar to live there. Flush with money from his successful SoHo venture, Goldman came to a similar conclusion while on a trip to Miami Beach in 1985. Eyeing neglected Art Deco buildings along Ocean Drive, he bought one property a month and ended up with 18 buildings in what was then a low-rent section of South Beach. During the latest real estate boom, Goldman and two children, Joey and Jessica, set their sights on Miami’s Wynwood district. The family’s companies bought up warehouses and other properties, just as that area of Miami was getting some notice from loft developers and art galleries. While still awaiting the residential revival Goldman predicted, the Wynwood area is home to some of the city’s most talked-about restaurants, including an upscale pizzeria Joey’s, opened by the younger Goldman. It also is a hub for art galleries and some of the most prestigious public art collections in the city. On Saturday, Wynwood’s sidewalks were crammed with people for the neighborhood’s monthly gallery walk.